Brooklyn, New York – Tiger Strikes Asteroid NY is pleased to present The Same Sun, a solo exhibition of new works by Antonio Serna. Serna’s videos, photographs, and documents focus on unraveling the narratives that form our understanding of history. The Same Sun refers to the star that has been the center of our solar system for billions of years, is the lone witness to all history, and might be the only one capable of comprehending the complete story of our time. 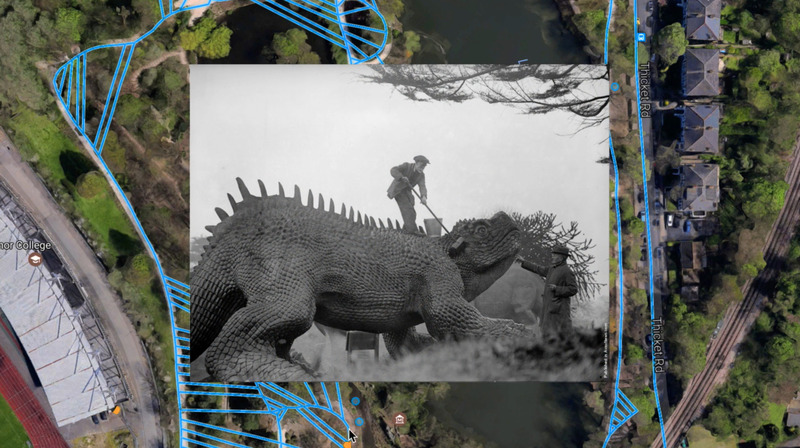 Central to this exhibition are Calendars, a series of short video narratives that weave together various personal and historical sites on tectonic maps that range from 350 to 65 million years ago. Sites highlighted in these works include Jebel Irhoud in Morocco, where the bones of the first Homo sapiens were found, to Marfa, Texas, the mecca for artist Donald Judd. By juxtaposing various disparate sites throughout vast amounts of time and space, we are led to re-experience a non-linear history of the western world. The artist reveals the precariousness of history and challenges the notion that even hegemonic power is not immune to destabilization from below. Calendars suggest we inhabit a fluid world interconnected through time and space via recurrent and persistent visual forms and motifs. Included in the exhibition are a series of accompanying “Endnotes,” documents, videos, and mementos that further expand the narratives under The Same Sun. Originally from San Antonio Texas, Antonio Sernais a Mexican-American artist based in New York. Antonio maintains both a studio and collective social practice. These two practices often balance and ground the sum of his production. Antonio Serna holds a Masters in Fine Arts from Brooklyn College, and a BFA from Parsons School of Art. He has exhibited in New York, Texas, Las Vegas, Spain, Mexico, Berlin, and Romania. His speaking engagements include Flux Factory, CUE Foundation, Brooklyn Museum, Pratt, Common Field Convening, Eyebeam, Smack Mellon, Queens Museum, and Museo Tamayo. Recently he has participated in residencies at Triangle Arts Association, Elizabeth Foundation for the Arts, and The Luminary and has taught at Brooklyn College and Parsons School of Design. A discussion with the artist will be held during the run of the exhibition.